 Forms+Surfaces is also pleased to announce several exciting additions to our Bonded Quartz and Bonded Metal lines. Unlike anything else on the market, Bonded Quartz incorporates ceramic microspheres in a fiber-reinforced polymer matrix. This combination yields incredibly durable, lightweight castings that have integral color, a stunning surface appearance, and are easy to clean. Since its introduction, Bonded Quartz has been available only in White, until now. Our goal in expanding the palette was to come up with a color that plays to the performance advantages of the material, while offering a modern look and wide applicability. The result is Charcoal – a shade that creates drama with its near-black richness and serves as a counterpoint to our crisp, clean White. In addition to the new Charcoal color, two new patterns further expand the design possibilities of Bonded Quartz. Dune, an existing full-sheet Impression pattern available for Stainless Steel and Fused Metal, is now also available in Bonded Quartz. 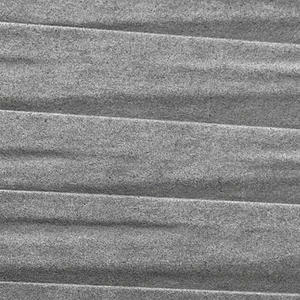 True to its name, Dune has the rippled, layered look of drifting sand, creating a pattern with natural contouring. 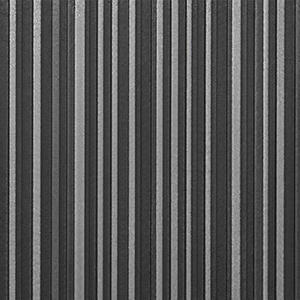 Inspired by concrete facades and city skylines, Loft’s dimensional variegated stripes add a touch of architectural exactness. With these additions, the Bonded Quartz line now includes Bonded Quartz, Charcoal, in Carbon, Crinkle, Dune, Grass and Loft patterns; and Bonded Quartz , White, in these five patterns, plus five others. 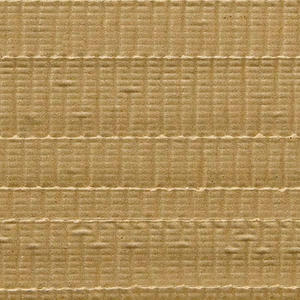 We’re also thrilled to introduce three new Bonded Metal patterns. Bonded Metal is the product of a unique technology that casts metal granules in a tough, fiber-reinforced polymer matrix. The highly detailed patterned castings are lightweight, extremely durable, and have the appearance of solid metal. The Bonded Metal line includes Bonded Aluminum, Bonded Bronze, Bonded Gold Bronze and Bonded Nickel Silver. Our newest additions join more than a dozen existing patterns and bring a contemporary twist to this time-tested material. An example of a pattern that transcends a specific material, Loft moves beyond Bonded Quartz and is also available in Bonded Metal with Natural or Dark Patina. Talus is part of our “modern handmade” initiative: clean, modern surfaces created by hand. For Talus, wide strips were laid to create the pattern’s mold, resulting in an organic look. Talus is available in Bonded Metal with Natural or Dark Patina. Also part of our “modern handmade” initiative, Terrane's corrugated rifts are layered horizontally, creating ridges that catch the light. Terrane is available in Bonded Metal with Natural Patina. 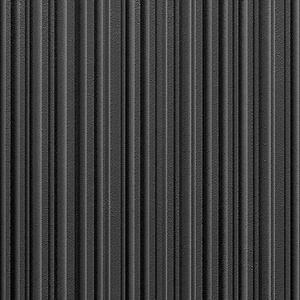 Bonded Quartz and Bonded Metal are easily integrated into our LEVELe Wall Cladding System, Elevator Interiors and Columns, and custom applications. To learn more about either material, please call your local F+S Territory Manager, visit our website or contact us.